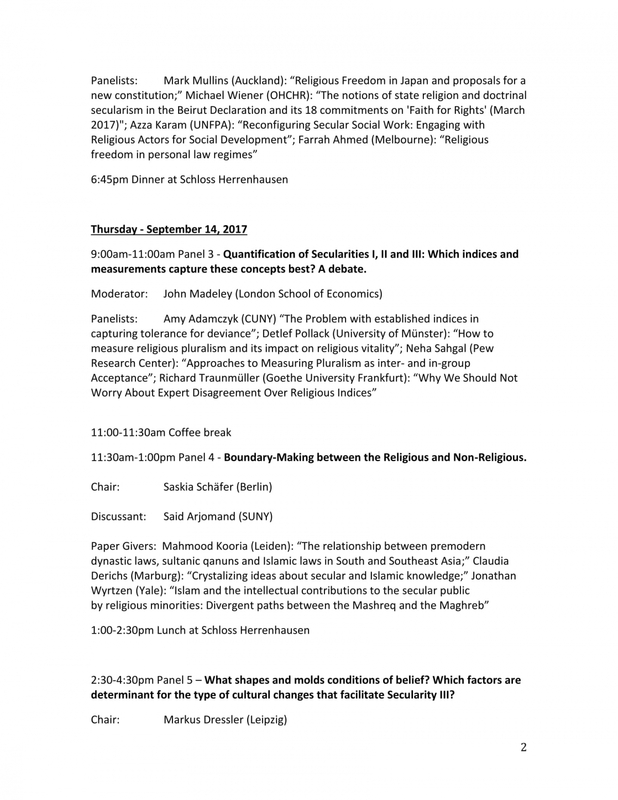 Symposium on "A Secular Age beyond the West: Modes of Secularity in Asia"
From 13 to 15 September Mirjam Künkler, Shylashri Shankar, Claudia Derichs and Tine Stein organise a symposium on "A Secular Age beyond the West: Modes of Secularity in Asia" at Schloss Herrenausen (Germany). Among the participants will be many recent and prospective fellows of the KFG "Multiple Secularities - Beyond the West, Beyond Modernities" such as Mirjam Künkler, Mark Mullins, Said Arjomand, Gudrun Krämer - as well as our permanent staff members Markus Dressler and Marian Burchardt together with our director Monika Wohlrab-Sahr. Few issues have more international salience today than contestations around religion and secularity, and the divisions and alliances they create worldwide. Most theorists of secularization now agree that modernity as such does not produce decline of religion, but is instead associated with an increase in religious pluralism on a global scale. 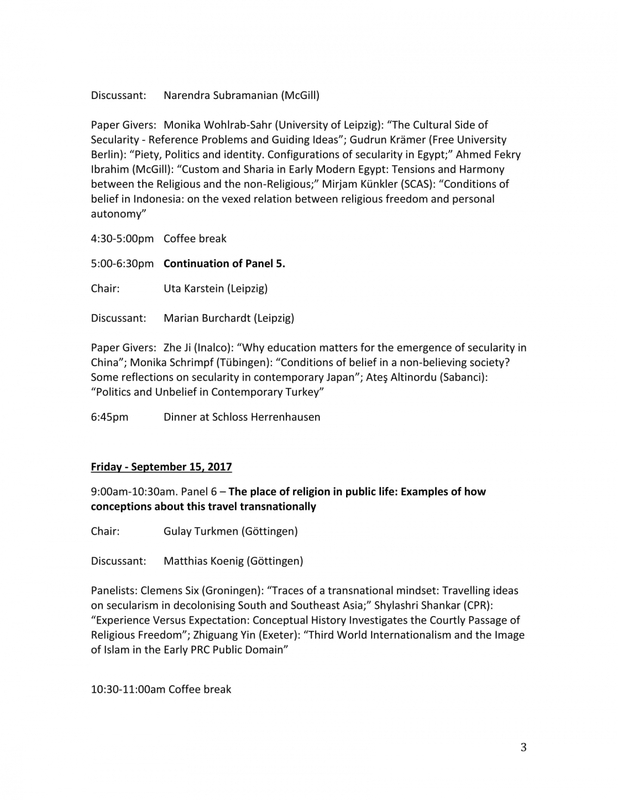 Given the origins of the sociology of religion in Western experiences, studies of what religion, “non-religion”, and the secular are in contexts outside the West often operate with conceptual vocabularies and theoretical approaches whose applicability to these contexts remains questionable. 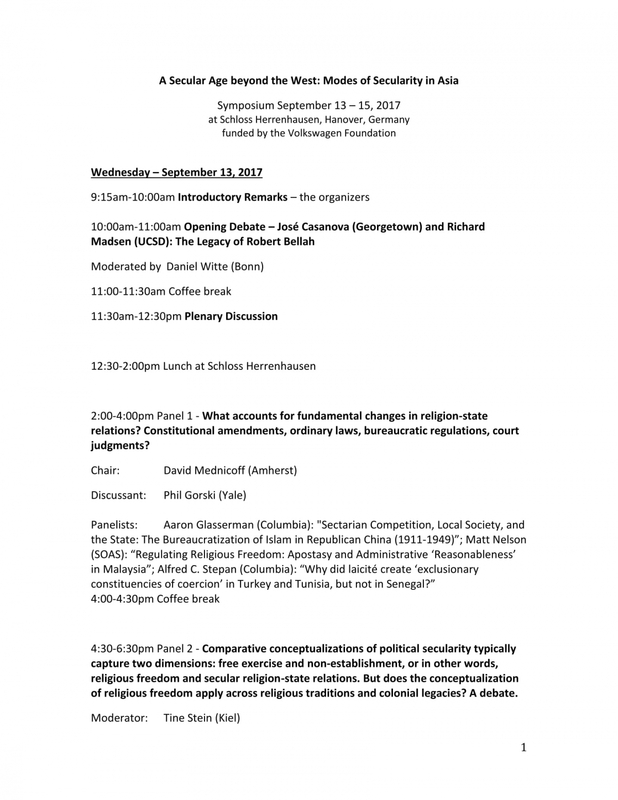 The conference therefore brings country experts together with sociologists and political scientists of religion to probe which aspects of the conventional study of secularity are applicable to non-Western contexts, and to ask more generally in how far concepts from the classical sociology of religion remain useful when applied in contexts outside the West. This task is undertaken by focusing on three issues: state secularity (what constitutes state secularity and how does it manifest itself empirically? ), the option not to believe, practice and/or identify in religious terms (Taylor’s Secularity III: what context does its emergence require? 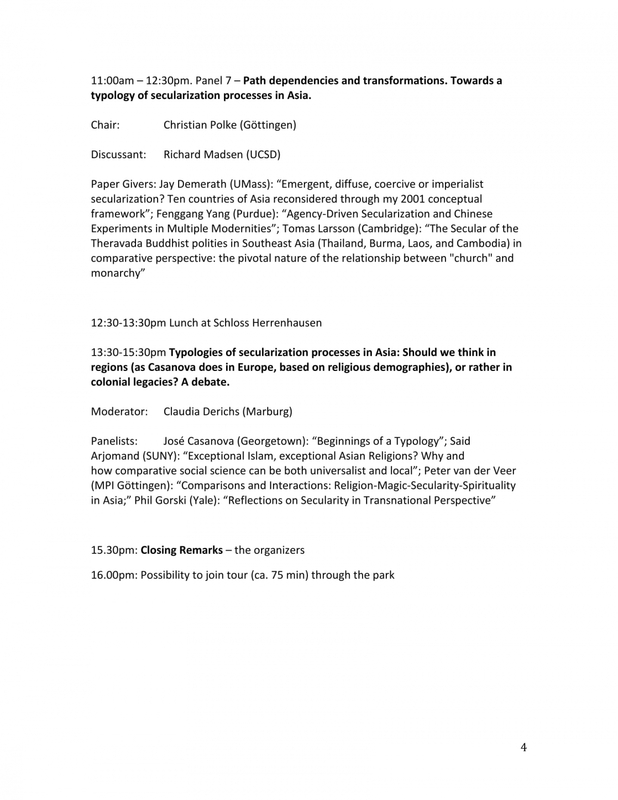 ), and the identification of typologies of secularization.